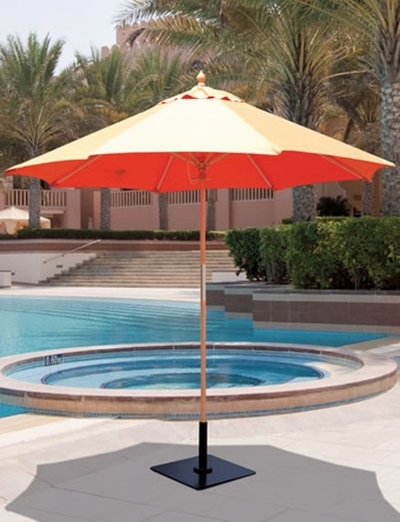 Rediscover the beauty of nature with this elegant Galtech 9' Wood Patio Umbrella. Choose from the widest range of luxury outdoor canopy fabrics that are fade-resistant ensuring their bold and bright color from season to season. With its marine varnish, applied in 6 layers, the wood pole is sealed beautifully and will easily endure in the harsh weather elements. This is a single pole style outdoor umbrella so there is no worry of a lost or damaged bottom pole to replace. This is ideal for your smaller open-air space and adds the final touch of panache' your patio craves. * Shade Size: 9' ft.